Do you know Gabriele Cirulli ? 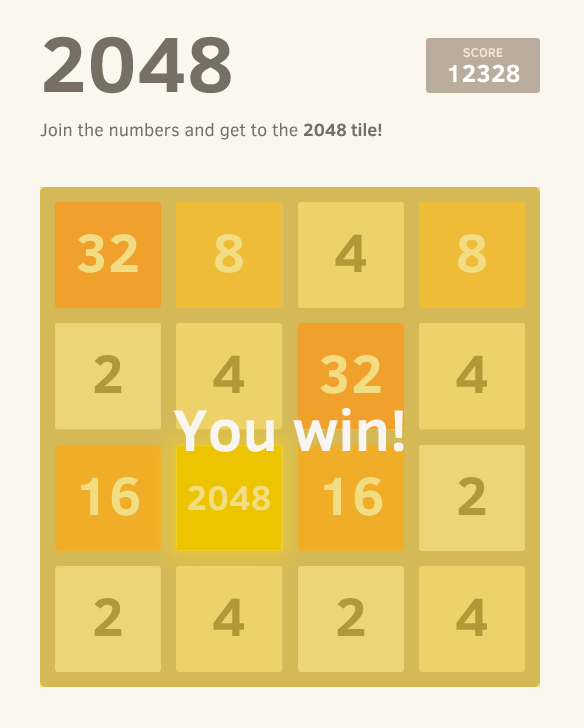 He is the 2048 game creator : a very famous game where you have to slide the numbered tiles to join same numbers, and cumulate them to obtain 2048 ! Ok, so I mixed the two of them, and I get 2048Gremlins ! It’s like letting the gremlins play 2048 ! It was fun to hack those wonderfull projects and it made me learn more things about gremlins.js.